It's hard to believe that Bob Crane would have been 90 years old today. Or perhaps 90 years young! I know and am close with many of Bob's friends from school and work, and they are all right around the same age—80s and 90s. And let me tell you, they have just as much life in them as any kid! What would Bob have thought about the world today had he lived? It's difficult to say. While we can't know for sure, I do have my own thoughts on the matter. First, I believe he would have enjoyed technology, and he would have immersed himself in the world of audio sound files. How very different it would be for him today as compared to the 1950s-1970s! Bob also liked to stay informed about all subjects, from current events to entertainment, and I can see him being very intrigued by podcasts, devouring as many as he could possibly listen to in the span of each day. I'm not sure what he would have thought about social media, but I think he would have enjoyed the basic social aspect of it. Most importantly, I believe whole-heartedly that he would have written a book—his autobiography. A few days before his murder, a reporter interviewed Bob in Arizona. 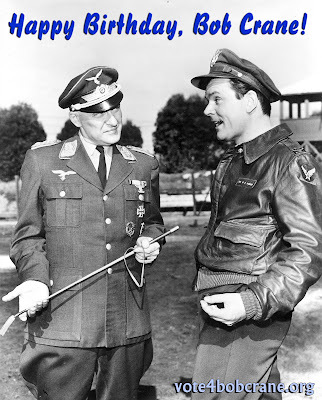 He asked him some standard questions about Hogan's Heroes, about his play Beginner's Luck (which he had been performing at the time), and about his life in general. During this interview, Bob mentioned that if he were ever to write his autobiography, he would title it Laughing All the Way to the Grave. He didn't go into detail beyond the idea for a title, but I imagine it would have happened. Bob was a writer, and he liked to make people happy and make them laugh. So at some point, I think he would have written a book that inspired, educated, and entertained. I think he would have talked about radio, and of course, his work on Hogan's Heroes. He might have enlightened us on his acting ambitions and how much he loved his drums. And had he overcome his addiction, he might have shed some light on that as well, urging people to be more tolerant towards others as opposed to judgment and ridicule. As J.M. Barrie stated, "Be kinder than necessary because everyone you meet is fighting some kind of battle." Words to live by, or at the very least, try to. It's a shame we never got to know what life would hold for Bob Crane because he never got to live it to his natural end. What I can tell you is that his family, friends, and many of his colleagues loved Bob—genuinely. He was also not ready to die and didn't expect to die that night in June 1978. Last year, when I was at the MidAtlantic Nostalgia Convention, I spent some time talking with Dawn Wells (Mary Ann on Gilligan's Island). Following Bob's murder, Dawn spearheaded an awareness campaign to safeguard actors when they traveled to different theatres across the country. I gave her a copy of Bob Crane: The Definitive Biography, and when she took the book from me, she held it close to her, almost like she was holding a baby. And she said to me, "I loved him so much." That touched me so deeply, and I'll never forget it. So what can I tell you on Bob Crane's birthday? Well, don't judge others, especially without knowing all of the facts. Stop for one moment and think. 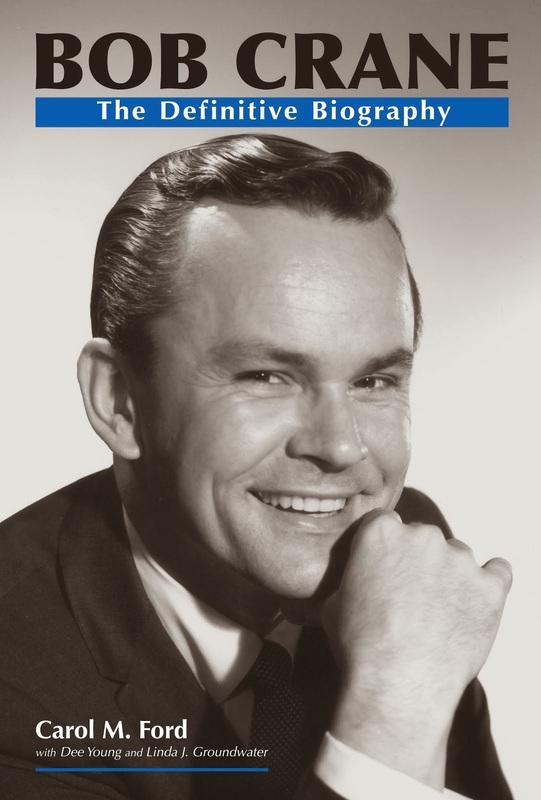 Bob Crane was a human being. He had family and friends, trials and triumphs, and emotions that ranged from happy to sad, as do we all. He sought to do good and to be good, and to make the world a better place through laughter. We all try to do our best and get by in this world that throws so many challenges at us. My birthday, ironically, is tomorrow—July 14. So for my birthday as well as for Bob's, shelve the negativity and shine a little light. Do a random act of kindness in Bob's memory. That would mean so much in a world that could use more of it. Happy Birthday, Bob Crane. I'm glad your light still shines in my world!